Futurama Professor Farnsworth Vinyl Figure - Moar Stuff - You don't need it but you know you want it. 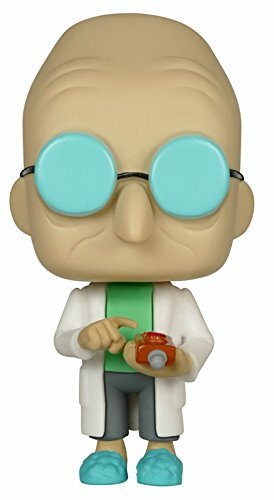 From Futurama, Professor Farnsworth, as a stylized POP vinyl from Funko! Stylized collectable stands 3 3/4 inches tall, perfect for any Futurama fan! Collect and display all Futurama Pop! Vinyl's! 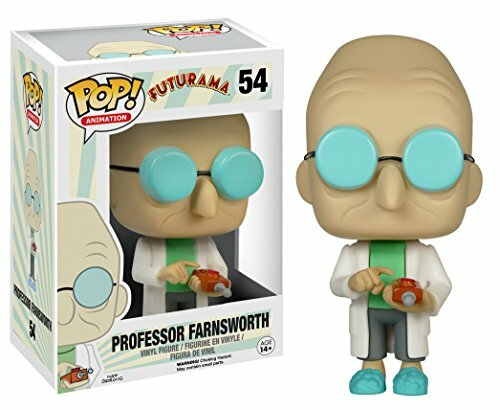 This Professor Farnsworth Vinyl Figure from Futurama is a great addition to your Pop! Vinyl figure collection. Or, as a mascot for your very own Angry Dome. Using assorted lengths of wire, he built an intergalactic delivery ship. Pop! used melted bits of vinyl plastic to create him right down to the coke bottle glasses. The figure is holding one of his inventions (I think it’s a control for a doomsday device) and wearing slippers. Hey, when you have several doomsday devices laying around, you can wear slippers whenever you want. Who’s gonna stop him? Zapp Brannigan? Maybe the Hypnotoad could calm him down? 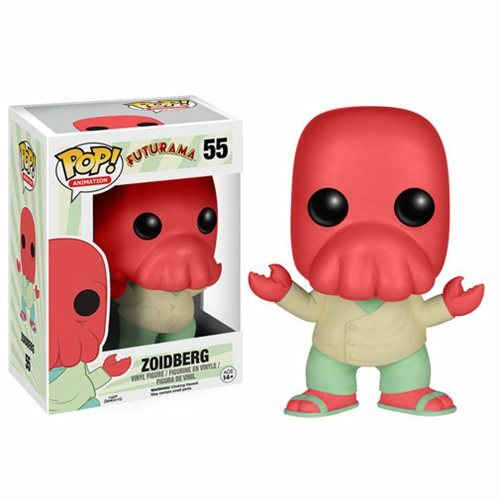 So, if you’re a Futurama fan or just a vinyl figure collector, you’ll love having this slightly senile old coot in your collection. Material: (read in Amy Wong’s voice) Well, splua…. it’s vinyl. Comes in a window display box so you can see it while still keeping its “collect-ability”. And remember, you can own property (like this figure) because you’e not a penniless hippie! !